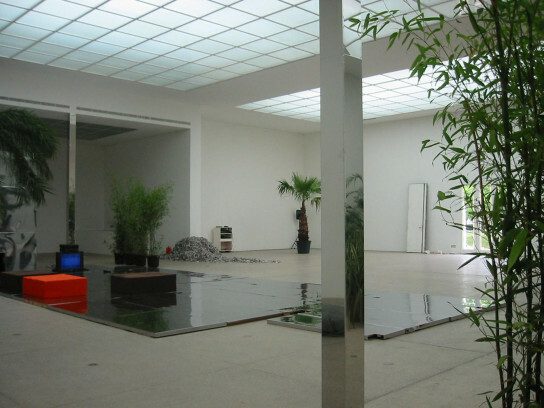 Rirkrit Tiravanija’s project for the Secession is based on Rudolf Schindler’s house in Los Angeles and the visions behind it, which are significant not only for architecture, but also for art. 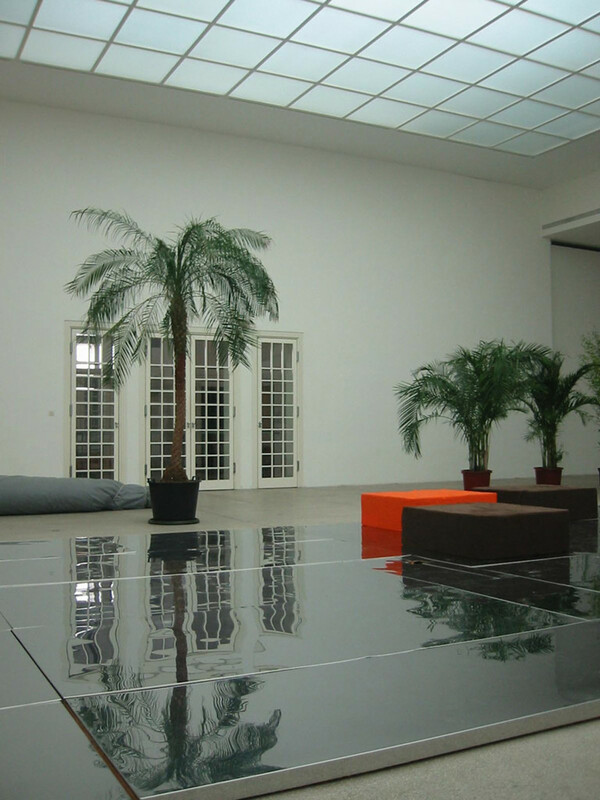 Rirkrit Tiravanija will install a reconstruction of the studio tract of the so-called Schindler House in the main room of the Secession and use this as a stage for various activities. Yet his interest focuses less on a faithful architectural facsimile than on “animating” Rudolf Schindler’s world of ideas, his concept of inside and outside in relation to the conditions of private and public spaces. 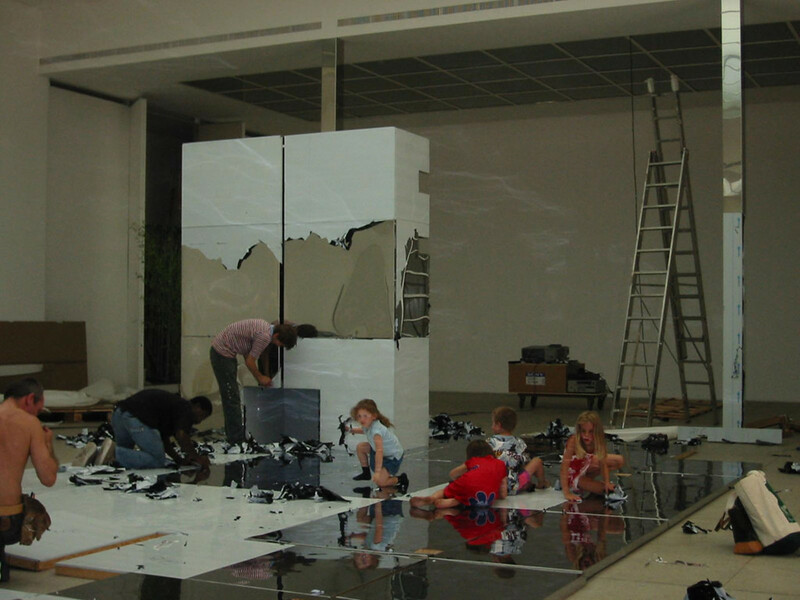 To this Tiravanija adds his own ideas on relationships and communities, his characteristic conception of art as an investigation and implementation of “living well”. 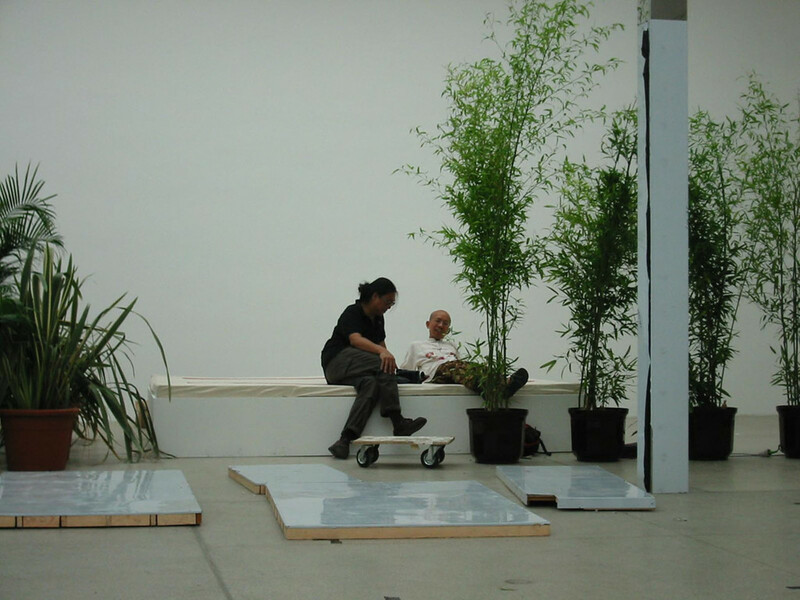 Throughout the duration of the exhibition, the installation will be used as a venue for a multimedia program offered by Tiravanija and various guests, with features such as film screenings, concerts, presentations and lectures. With his house in Kings Road, Los Angeles, built in 1921/22, Rudolf Schindler called all the habits and previous expectations about housing into question. The definition of the garden as an integrative component of the house and the sleeping area on the roof open up the established boundaries of living space and introduce other and alternative forms of “abiding”. The motifs of movement and travel are central to this. 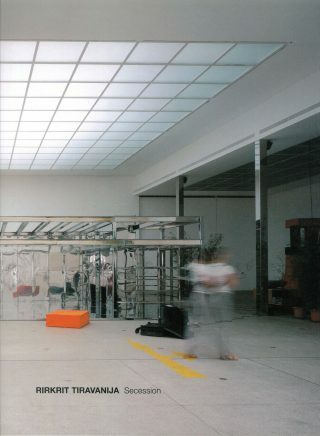 Schindler replaces fixed architectonic patterns with flowing spatial structures, in which inside and outside intertwine and allow forms of sociableness and retreat to be spontaneously defined and redefined again and again. Rirkrit Tiravanija picks up on these ideas. 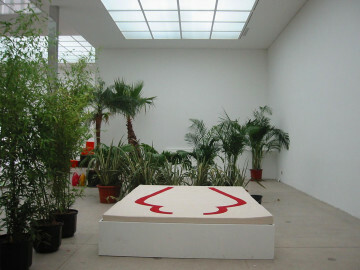 He reconstructs Schindler’s house as a model for the exhibition in the Secession and positions the architectural element as a platform and stage in the back part of the main room. In this way, he sends Schindler’s house on a journey, thus following the approach of a mobile organization of life in Schindler’s architecture. However, he also brings his private memories of the place into the public exhibition space of the Secession. Instead of using materials that are as natural as possible, as did Schindler, Tiravanija builds his model out of stainless steel. The point is not to emphasize the weight of the material and thus suggest something like solidity, rather it is the mirroring quality that is central: the various activities happening in the room are reflected in the surfaces of the steel. With their kaleidoscopic multiplication and facetting, they make the “image” of the house disappear. At the same time, the fragmentation of what is happening indicates its spatial and temporal displacement. 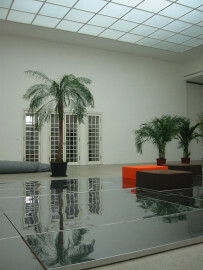 Whereas the exhibition space and the architectural model meet directly in the reflection, other elements tie into the exhibition history of the main room of the Secession, such as newly encasing the columns with stainless steel, a quote from the 1980s, or the large tapestried furniture, a copy that refers to a group photo of the Secessionists from 1902. Rirkrit Tiravanija converts the exhibition space by inscribing potential possibilities for living into it. As it is located between real acts and utopia, his offer is the staging of an ideal life situation, a place of sociableness and hospitality. 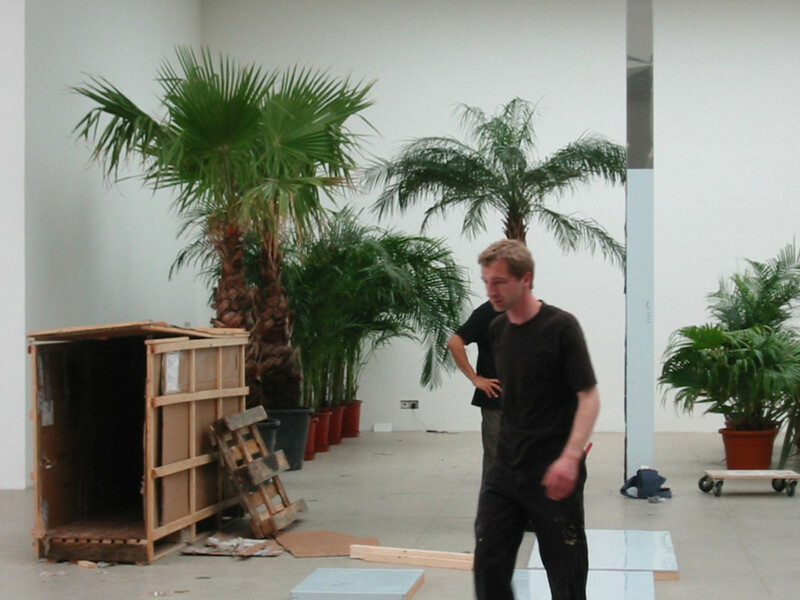 Whereas the expansively grouped plants in the exhibition space may still be understood as a metaphor for a garden, a glass door opens the space into the real garden behind the Secession, thus creating a direct link to the outside. Open spaces and seating cushions create space for people to spontaneously come together. In this way, Rirkrit Tiravanija not only makes use of the event program but also the furnishings to offer possibilities for action and confront visitors with the concrete option of participating: they can occupy the room, use it as a meeting place and stage, but they can also rest and lie down to sleep. They are invited to accept this atmosphere of encounters, contrast staying with mobility, and as actors to take part in the arrangement of cultural space. Rirkrit Tiravanija, born in Buenos Aires in 1961, lives and works in Berlin, New York and Bangkok.